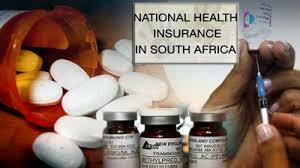 National Health Insurance in South Africa - How Will it Work? On August 12, South Africa took a huge step towards universal healthcare. This is when a 59-page policy document detailing the features of National Health Insurance (NHI) went out for public comment. What are the key points in the NHI policy document? What is the purpose of NHI? Will it work with current healthcare system? What does NHI not cover? All South Africans across the country, regardless of how much they earn, should have access to decent healthcare. Besides enabling low income earners to get treatment, the project would see a radical overhaul of the country’s healthcare system. As part of the NHI implementation, upgrades will take place. That includes everything from the health facilities and equipment to the IT systems – a process that could take 14 years. However, implementation is already behind schedule as pilot projects meant to have begun in 2012 are yet to get off the ground. The crux of National Health Insurance is that the higher income earners would pay for other South Africans to access healthcare. They would have to do so through higher taxation. The health ministry must still work out a threshold above which the extra tax applies, or how much this extra tax will be. Again, there is no exact projection, but government mentions a figure of R125 billion in the first year and R214 billion in 2020. With taxpayers expected to spend less on medical insurance, raising this amount should be an attainable goal. But the policy document notes, “No amount of money will be sufficient to ensure sustainability of National Health Insurance,” Not unless the country’s healthcare systems undergo radical surgery to address systemic shortcomings. The Treasury and the South Africa Revenue Service (SARS) have their work cut out coming up with the tax figure to be levied on individuals and collecting it. One of the strategies suggested in the NHI policy document to achieve the ambitious collection target is to widen the revenue base as much as possible. This would mean that individual contributions would be lower. The government-owned NHI fund will run the scheme, which will fall under the ministry of health. No, is the short answer. As indicated earlier, the public healthcare infrastructure and management would require a massive overhaul for NHI to succeed. Noting that government-run health facilities have deteriorated, the document indicated wholesale improvements would have to take place for the programme to be sustainable. As for the private sector, there would be better regulation of healthcare pricing. Healthcare costs in private hospitals have jumped more than 100% in the past 10 years. The current shortage of healthcare professionals will also need to be addressed. The health ministry is currently formulating a human resources strategy in this regard. What will not be covered by National Health? Cosmetic surgery, cosmetic dental procedures as well as designer eyewear will not be covered.